For this edition of rugbystore’s SuperTest, we decided to put some of our best running trainers through their paces with 3 hand-picked super-testers. We’ve got our super test stalwarts, Andrew (AM, Welsh rugby player and Ospreys supporter) and Zach (ZK, Australian league player and Brisbane Broncos diehard), returning for the running shoe edition. We’re also welcoming aboard Mark, our new super-tester (MM, proudly representing his fellow English rugby players and London Irish fans). In order to judge the trainers, our super-testers each performed two 5km runs and wore the trainers during their normal gym workouts. A very comfortable pair of running shoes. With any new pair of shoes or rugby boots, I nearly always get my fair share of blisters as part of the break in process. It was a real treat not to go through this with the Under Armour trainers. Very pliable materials used in the shoe’s construction make for a comfortable feel. 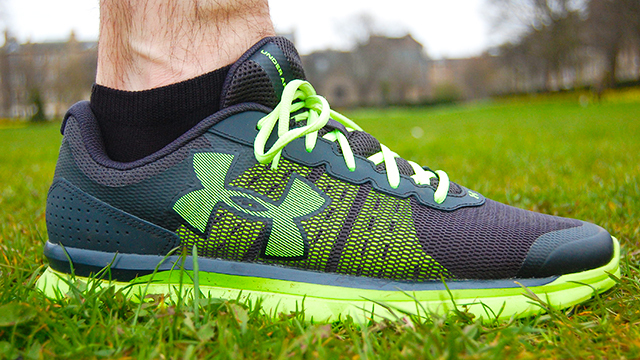 The Under Armour running shoes boast a full-length sock liner and Micro G foam insert, designed for extra comfort. Finally, as an added bonus for me, they’re super comfortable even with broader than average feet. The Asics were really comfortable to wear, both while out running and at the gym. Normally with a first time run, I would expect to go through a settling-in process, but the gel cushioning system really seemed to help. I think with a few more runs they would only become more comfortable. For me, the trainer was slightly on the narrow side which led to my feet feeling cramped. I feel that it may become less of an issue as the material softens, but from an initial perspective the trainers felt smaller than I’d normally prefer. I will admit that I have a wider than average foot, so this probably won’t be a problem for everyone. Weighing in at 225g per shoe, the Micro G Speed Swift felt slightly heavier than expected both in the hand and when out running. Not so heavy that you’d expect it to impact performance in anyway though – they’ve still got a better than sufficient pickup. The Asics were lightweight but perhaps not as light as I would usually go for. Although this is to be expected with the added cushioning system. This is however helped by the Trusstic system which helps reduce the weight slightly while maintaining a stable feel while running. 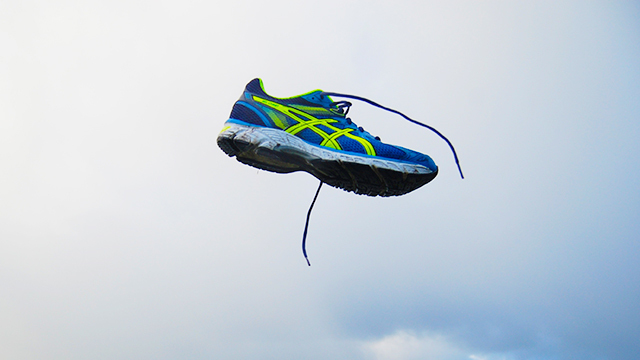 The shoe felt lighter than other runners that I have used in the past. With the main sole constructed from a lighter weight foam rather than a dense rubber, it was noticeable how much of an easier run this offered while not compromising on the support. The mesh upper again cuts weight, while any unnecessary aesthetic additions have been removed. A really sleek, good looking pair of running shoes. I must admit that I prefer black shoes in general, so I might be a little biased here. I really like the black upper which is contrasted against the fluoro yellow laces and sole. My only criticism is that the sole looks a little chunky on the inner side of the shoe, however most running shoes seem to be moving in that direction, so it’s difficult to complain. A slim and streamlined design creates a fit that doesn’t seem clunky when out running. Normally opting for more neutral colours for my trainers, the bright contrasts on these shoes was surprisingly welcomed. 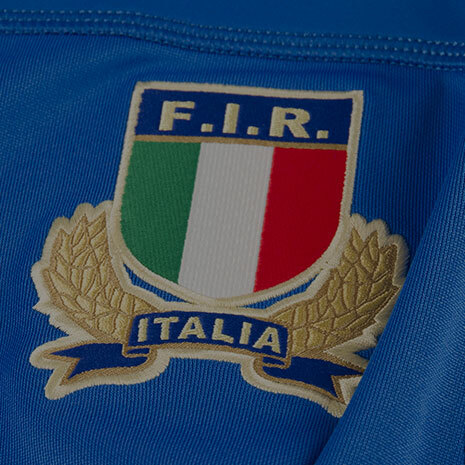 The blue features just enough to ensure that the fluorescent yellow doesn’t scream too loudly. Plus the yellow is a good practical safety feature to assist with night time training sessions. The shoe definitely silhouettes a typical running design with a substantial sole and bright coloured upper. The lime laces are matched with an inset heel contrast which brings the whole look together, while reflective material on the stripes holds the design well. From a personal perspective, the heel is chunkier than I would normally go for, but that is generally to be expected in a runner. The Micro G Speed Swift are pretty basic in terms of technology, but at the same time they deliver just about everything you’d expect to get from a lightweight running shoe. 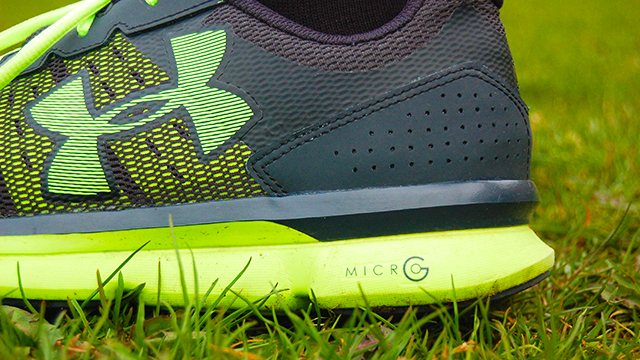 The defining feature from a technology standpoint is a full-length Micro G® foam cushioning system. This gives the shoe a bouncy, rebounding feeling on every stride you take. They also have a reinforced arch and heel which contributes to a better fitting shoe as well as helping to guide your feet as part of a natural, healthy running action. Finally, their anatomical rubber outsole contribute toward a barefoot traction grip, giving you the confidence that you’ll stay upright on slippery or uneven terrain. 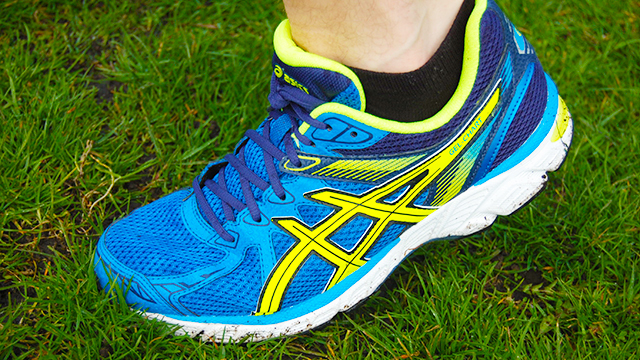 The two key bits of technology in the shoe are the gel cushioning and Asics’ Trusstic systems. The Trusstic system works to stabilise the foot, which then effectively channels the energy you generate in the direction of your stride. It makes sure that the energy you exert is used as effectively as possible. I have to say that both the gel cushioning and Trusstic systems work quite well. The gel cushioning provides support and comfort while the Trusstic system provides your foot with a solid platform to propel yourself forward easier with minimal impact on your joints. Really good support from the sole meant I didn’t get the normal joint ache that comes from other running shoes. These trainers boast an adiPrene cushioning system in the rear which absorbs shock and offers great support – I definitely felt this at work. They also have special torsion technology which is designed to enhance stability and encourage a natural, comfortable heel-to-toe running action. Overall, a technologically sound pair of trainers. I’ve had problems with the arches of my feet for years, so I use orthotic inserts in just about all of the shoes I own. This has often made settling into new shoes difficult. Surprisingly, the Under Armour Micro G Speed Swift were honestly a dream even with my orthotic inserts, which I haven’t been able to say for many shoes I’ve owned over the years. Even without orthotics, they should offer you more than enough support with their reinforced arches and sturdy heel support. 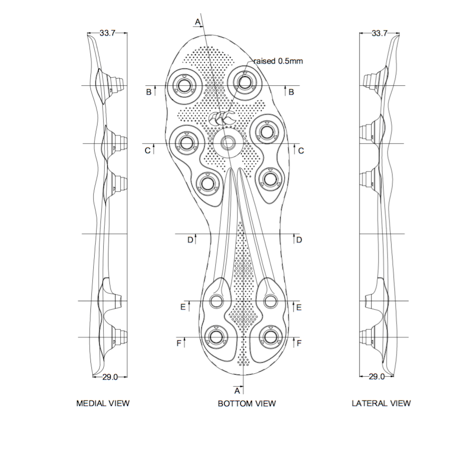 The support in this shoe really benefits from the technology that is has been designed with. This focus helps provide a stable shoe that indicates it would last once you start clocking up the miles. It’s also worth noting that the sock liners used in these trainers are removable which allows you to add a medical orthotic if further support is required. This was a really strong point for this trainer. Following a run, my joints felt relatively pain-free and my feet were not aching. The trainers offered a very sturdy support which assisted my natural running action. Despite the trainer feeling a little narrow, it still fit the natural shape of my foot which made for a great run and supported my feet and joints fantastically. 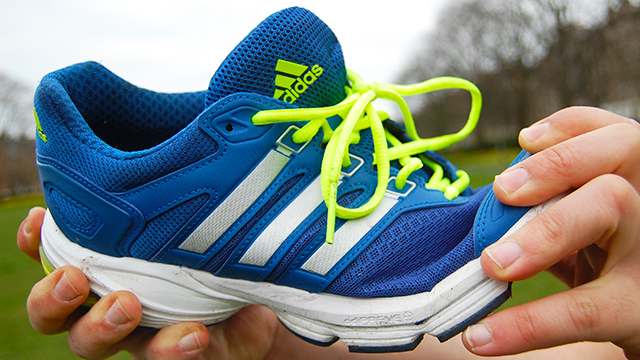 It’s gone down to the wire in our running shoe SuperTest. Under Armour just managed to squeeze past Asics for first place, with adidas coming in a close third. In general, the super-testers were all very impressed with the performance of their trainers and, as such, were not surprised with such a close finish. In terms of determining the most suitable pair of trainers out of these three for yourself, it will ultimately come down to preference and your particular running needs. We really look forward to getting some feedback from you, so feel free to start a discussion in the comments section below. 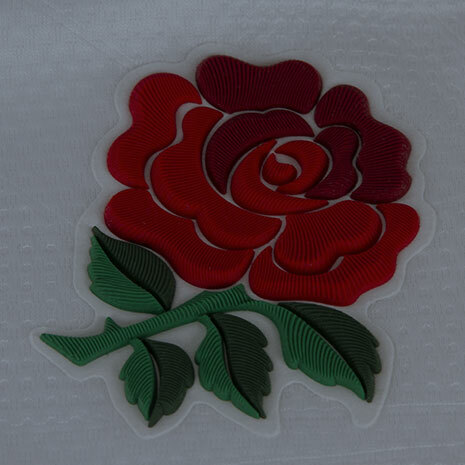 If you have any product ideas for the next edition of rugbystore’s SuperTest, let us know and we’ll do our best to follow through with your request.